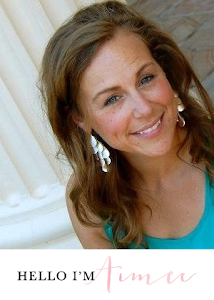 A few weeks ago I was contacted by eShakti to try out their website. eShakti carries a variety of tops, skirts and dresses and the cool thing is that you can customize all of them. Every piece you can either order in a standard size, or you can provide them with your measurements and they will create one just for you within just 14 days of your order. But that's not all you can customize, depending on the garment you can adjust hem lines, neck lines, sleeve lengths and so on. At first glance at the website it can be hard to remember that, when I was first scrolling through the items I wasn't sure how "my style" things were going to be, but once you click into an item it gives you all the options you can adjust to make it fit your style. I figured this was the perfect time to step outside of the box and try out a trend I had my eye on, the crop top and midi skirt. Realistically I don't know how comfortable I would be wearing this out in public, it doesn't show much, but I have a feeling I'd be a little self conscious. Maybe a brunch with friends would be the right occasion? I went with the custom sizing option because I never truly fit into any one size. It was nice because I have broader shoulders so structured tops tend to fit tighter across the shoulders and arms, and this did not. It also fit perfectly to my natural waist, the only thing that seemed a little off was the height of the top, I seemed to have a little extra room at the top of the shoulders, but that could be because my garment was two pieces instead of one. I would definitely try it out again, they have a lot of classic silhouettes that would be very timeless in your closet. Right now eShakti has a ton of promotions going on if you want to try them out for yourself. 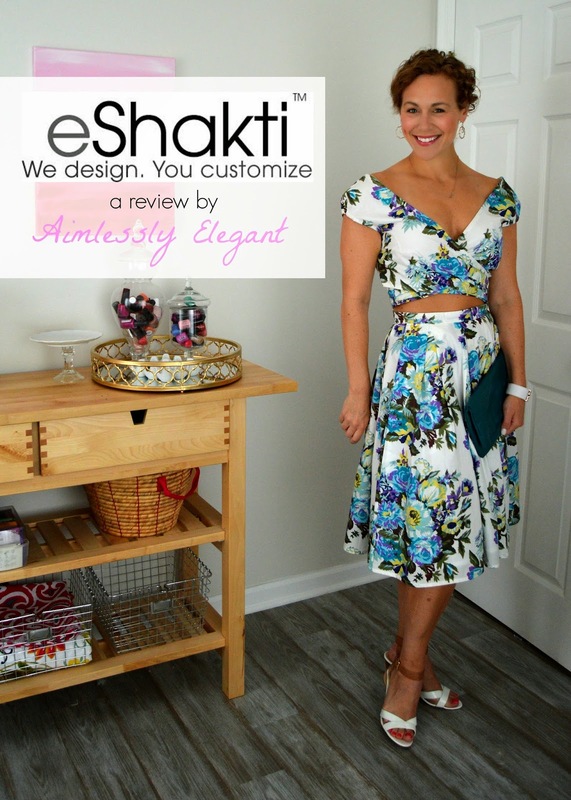 If you are new to eShakti you can register and receive a $25 gift coupon, they also have a buy one get one free promotion going on right now, and on top of it all they have offered all of my readers 10% off through August 24th with the coupon code ELEGANTAIMEE. PS. This is my first time stepping in front of the camera for an outfit post, it is definitely going to take some getting used to - in fact I usually hate having my picture taken! But my goal is to do it more often! Although I was gifted the items to try for this post all thoughts and opinions are my own. You look absolutely stunning! You definitely should be in front of the camera more often. :) I like how this is a subtle way of trying out the crop top trend. You look so pretty!! I like the crop top trend, and you def rock it! Karly you are too kind! I feel slightly too old for the crop top trend, but at least I can say I tried it! Thanks so much for boosting my confidence!! Aww, thanks so much! Can't wait to see how your dress turns out! These colors are beautiful on you! You look so pretty! Thanks so much for linking up to WYWW!